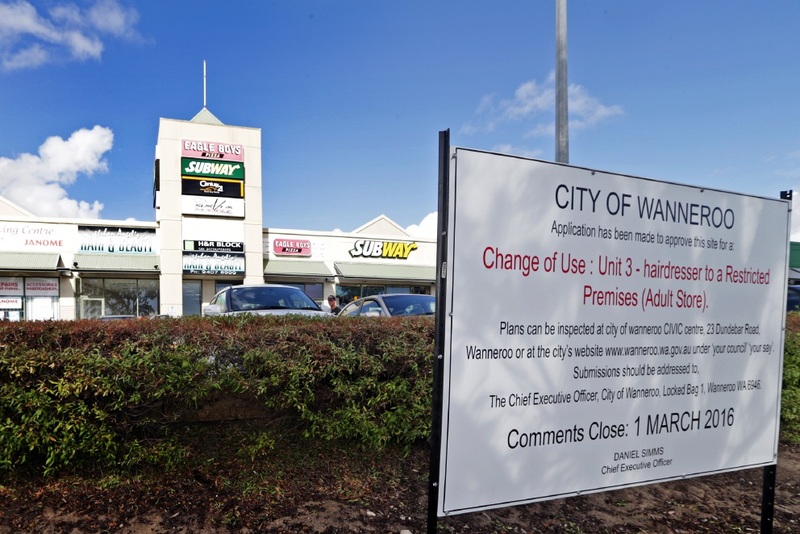 A PROPOSED adult store in Clarkson has been rejected by City of Wanneroo councillors. They agreed with the City’s report recommending the change of use application to restricted premises for the Marmion Avenue site be refused despite a deputation from the proponent at this week’s council meeting. Pinnacle Planning director Ben Carter told councillors the store was compatible with the area and would forego a shop front, making it appear “no different” from other retailers to passers by. “It is for all intents and purposes a retail store,” he said. During the public comment period, the City received more than 60 submissions objecting to the proposal, including a petition with 88 signatories. The report recommended refusal event though the restricted premises use was permitted as part of the centre’s commercial zoning. “It is not considered appropriate in this locality because it is considered incompatible with the existing amenity of the area and would detrimentally impact the local amenity sufficient to warrant refusal,” it said. Lovers Adult Store managing director Karl Frost said it was an unfortunate result for the business. “We are disappointed with the City’s decision…and are currently considering our options for the northern suburbs,” he said. Ocean Keys Sewing Centre owner Faye Peskett, whose store adjoins the vacant site, organised the petition and said she and many of her customers were pleased with the outcome. “I’m very happy about the decision because I didn’t think an adult store was correct for the area,” she said.